Just as the word ‘yoga’ refers to the union between the self and the Divine, it can also refer to the union of mind and body. But how do the mind and body come into alignment through yoga? It is by the breath, which yokes together both the body’s physical processes, and those of the mind. Without breath, yoga is just a series of bendy postures, as renowned Ashtanga yoga teacher Kino MacGregor says above. Breath is a pillar of yoga. It is what separates yoga from many other forms of exercise. However, both the process and traditions of yogic breathing can seem convoluted and intimidating to new yogis. Adding to this confusion, proper yogic breathing is not always taught in classes. Imagine entering a room of yogis all flowing through a sequence, breathing so loudly you can hear them all around you, with no idea how to join in. The following article delves into both the history and how-to of yogic breathing, specifically within the Ashtanga yoga practice. There are many different types of yoga practice, and Ashtanga yoga is considered to be one of the more physically demanding and vigorous forms. It is composed of a system of yoga poses that are practiced in the same order each time. There are six series (primary, secondary, etc), which contain different poses, increasing in difficulty, but generally have a focus on sun salutations, and vinyasas. The breath is incredibly important in Ashtanga yoga, even more so than in other types of yoga due to this set sequence. Every pose is matched to either an inhale or an exhale. Each series even mandates the number of breaths that should be spent in each pose. In a led Ashtanga class, a teacher counts out loud the breaths for the students. In a mysore-style Ashtanga class, students practice at their own pace and the teacher walks the room offering assistance as needed. 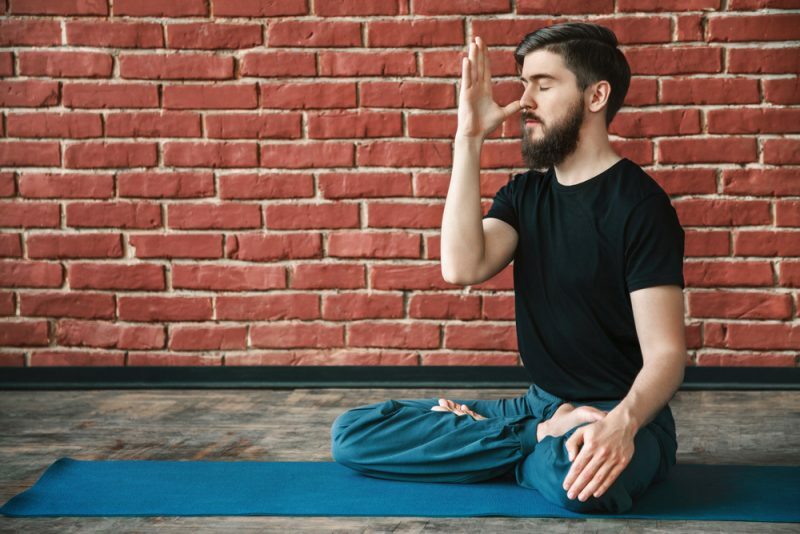 There are many types of yogic breathing, but the ujjayi technique is used in Ashtanga, which is discussed more in depth further in the article. The system of Ashtanga yoga was developed in India by Sri K. Pattabhi Jois, also referred to a ‘Guruji.’ Jois studied under Krishnamacharya, who subsequently had a significant role in the development of Ashtanga as well. The popularity of the Ashtanga method is due, in part, to the pilgrimages Jois took to the west to spread the message of yoga. He trained many yoga students and teachers, from London to L.A., who in turn took their own pilgrimages to Mysore, India to practice at his Ashtanga Yoga Institute. This Institute is the only place in the world where yoga teachers can be officially certified in teaching the Ashtanga method. Sadly, Jois passed away in 2009. However, Ashtanga lives on, and is practiced across the world by Jois’ students and their students. Although we have been using the term ‘yogic breathing,’ the correct Sanskrit term is pranayama. Pranayama is the fourth limb of yoga. In total, there are eight limbs of yoga, which together offer teaching and guidance on how to live a yogic life and journey toward enlightenment. The word Ashtanga itself actually means ‘eight limbs,’ indicating how important this philosophical background is to the practice as a whole. As the fourth limb, pranayama encompasses a huge variety of breathing techniques, each which offer different benefits. Pranayama is much more than just breathing. To understand it, looks at the meaning behind the language. ‘Prana’ is a Sanskrit word which means energizing or life force. It refers to the life energy flowing in all beings, but which may become stuck due to physical ailments or emotional burdens. The second half of the word, ‘ayama,’ means extension. Thereby, pranayama is a practice of extending and controlling life energy through breath work. What might be seen as simple breathing, is much more than that. 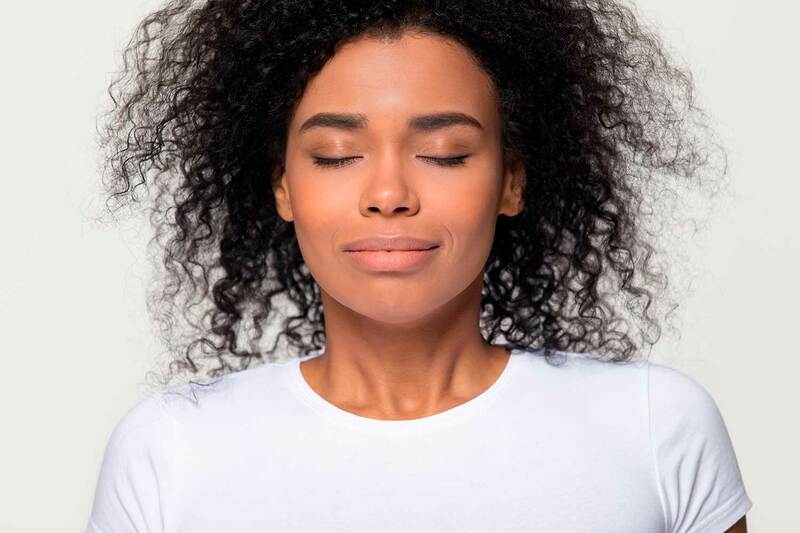 Physical benefits of yogic breathing include improving detoxification, calming heart rate, massaging internal organs, strengthening the diaphragm, improving blood circulation, and more. 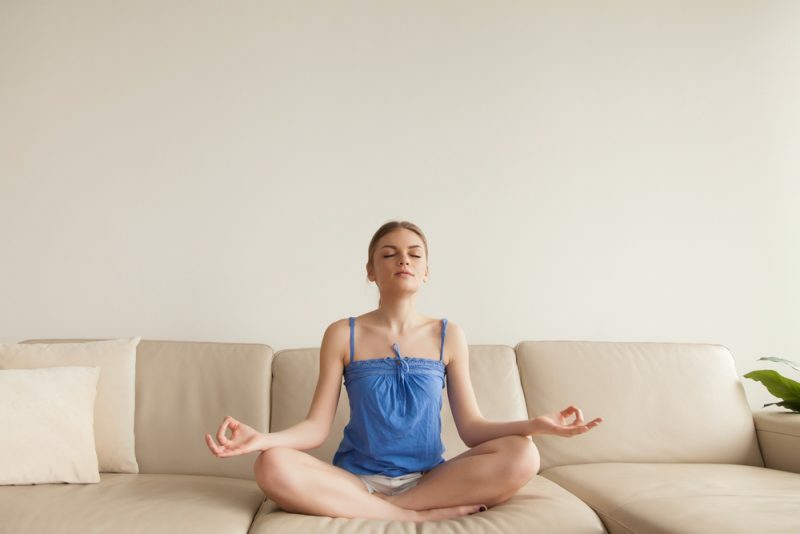 A central physical benefit of pranayama is pacifying the nervous system. By calming the parasympathetic nervous system, the body’s stress response is regulated. The physical benefits naturally lead on to emotional and spiritual benefits. When the body is aligned and calmed, the mind will follow. Practicing pranayama will lead to a centered state of mind, increased concentration, and more. This is just one example of how the breath acts as a yoke between mind and body. The type of pranayama used within Ashtanga yoga practice is called ujjayi. In English, this translates to ‘victorious breath.’ The ujjayi breath has an equal length inhale and exhale. It is performed by breathing in and out through the nose, and slightly constricting the glottis at the back of the throat. A soft ‘ha’ sound is heard with each inhale and exhale, although no tension is felt in the throat. An easy way to learn ujjayi breath is to imagine open-mouthed breathing as if you were to try and fog up a mirror. Now, perform this same action but with the mouth closed. This is ujjayi breath. As briefly discussed previously, there is a breath count in Ashtanga yoga. Each pose is matched to either an inhale or exhale, and the number of breaths per pose is predetermined. In a led Ashtanga class, the teacher counts aloud in Sanskrit and the students breathe in time with each other. In mysore style classes, the students are already familiar with the breath count and maintain it themselves. Ujjayi is undoubtedly the most popular kind of pranayama, used in Ashtanga and many other types of yoga. Even though it is commonly taught and practiced, it is still a complex technique with both anatomical and historical connotations that may take years to truly understand. As mentioned, in ujjayi breath the inhale and exhale are of equal length. To achieve this, the yogi can practice by breathing in for five counts, and breathing out for five counts. By practicing this method, the yogi can familiarize themselves with any habits they might already have; Usually people naturally have longer exhales than inhales. As such, ujjayi might feel uncomfortable to start with, as the body and mind adjust to a new breathing pattern. Symbolically, it is believed that be using equal length inhales and exhales, each side of the yogi’s consciousness is balanced. Whilst the inhale is an action, the exhale is a reaction. Metaphorically, the inhale is about receiving and doing, and the exhale is about giving and resting. By equalizing the breaths, the yogi is in turn able to balance each side of their being. Breath yokes the mind and body, but it also connects all five koshas. The koshas are said to be the layers of consciousness. This term originates in the Vedantic texts, or the first recorded teachings of yoga. The five koshas are said to be physical, mental, emotional, energetic, and spiritual. With each breath, the yogi becomes more in tune with each of these layers of consciousness, and brings them more in alignment with each other. Pranayama helps to develop the bandhas because of the muscular development it requires. For true deep breathing, the diaphragm muscle and pelvic floor muscles must be engaged. Over time, and with regular breathing practice, these muscles develop and the yogi is able to exert conscious control over the bandhas. Energetically, the bandhas are necessary for Ashtanga yoga. As a very physically demanding practice, Ashtanga yogis must ‘float’ forward and backward on their mat during vinyasas. They also need to gracefully enter inversions such as sirsasana, or headstand. These actions are impossible without the energetic lift that bandhas give. As such, the bandhas are perhaps the best example of how the breath, body, and mind combine to create yoga. Ultimately, to practice yoga is to practice breathing, and to practice breathing is to practice yoga. Like all forms of yoga, Ashtanga requires a commitment to breath. Unlike other forms of yoga, though, the breathing in Ashtanga is extremely systematic. 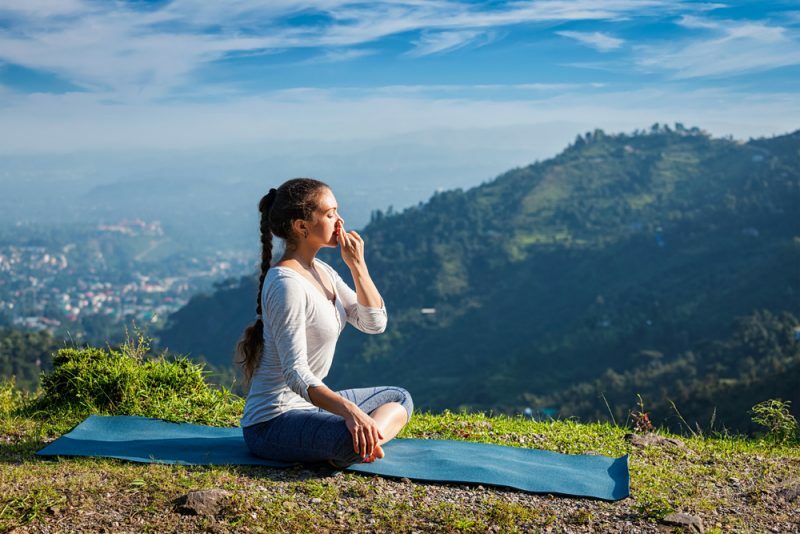 By learning and practicing ujjayi breath, and dedicating oneself to the predetermined breath counts, yogis are able to advance both physically and spiritually on their journey toward enlightenment.